Patricia Agatston, Ph.D., International Bullying Prevention Association president, and others across the country, offered their expertise in defining what is and what isn’t bullying and what can be done to identify and support children who’ve been impacted by it. Read the full feature here. Agatston, a national cyberbullying, will be among the speakers at the Michigan Bullying Prevention Conference, scheduled October 1, 2016, in Royal Oak, Michigan. Registration for the full-day event is $25 and includes breakfast and lunch. The conference will be preceded by a FREE social media workshop for parents. Karuna Nain, Facebook global safety manager, will present “Navigating the Social World with Your Teens — Insights from Facebook,” on Thursday, September 29. Visit the Michigan conference website for details. Don’t be like these girls, grounded and miserable for the summer. School’s almost out for the summer and Empowered Flower Girl wants you to make the most of it. But countless media reports have shown that some of you will mess it up even before it begins. From posting inappropriate pics to starting drama online, there are some surefire ways to have an effed up summer break. Don’t be that kid. 5. Cyberstalk your ex. As tempting as it may be to check your ex’s Instagram daily for new likes and comments from admirers, you should probably focus on something else – like yourself. Spare yourself the heartache. 4.Get in a Twitter fight with a celebrity. We all love to voice our opinions about celebrities who do crazy things, have wardrobe malfunctions or make fashion missteps. But resist getting into a battle with a famous person – especially Beyonce. The Beehive stings. 3.Put your BFF on blast via Facebook. Sure, best friends can disappoint us or even do jerky things from time to time. But, there is a better way to bring this to their attention rather than posting a shady status update. Pick up the phone, send an email or IM him or her and ask for your old friend back! 2.Post incriminating pics on Instagram. This is one of the best ways to kiss your potential summer internship or college acceptance good-bye. Even if everyone else is doing it, DO NOT post pics of drug or alcohol use, private parts or illegal activity online. 1.Do something productive. I know. This doesn’t follow the format of the other tips because you actually SHOULD engage in productive activities. Volunteer for a worthy cause, get a summer job or learn a new skill. Keeping yourself occupied will keep you out of trouble and give you a confidence boost. Rasheda Kamaria is a mentor turned social entrepreneur on a mission to transform the way young people relate to one another. She is a communications professional and founder/chief empowering officer for Empowered Flower Girl. A survivor of bullying, Rasheda was featured in the May 2011 issue of Cosmopolitan magazine in the article “Being Bullied Changed My Life.” Visit empoweredflowergirl.com. We often receive emails, IMs and phone calls from parents and grandparents concerned about their child’s wellbeing in school. Often the child has reported being harassed or bullied. We commend parents for taking the first step toward a resolution. There are numerous resources available to prevent and address conflict. One of my personal favorites is the Stomp Out Bullying organization. Is your child being cyberbullied? Is she or he experiencing conflicts in school? Here’s how you can help. Get more tips at StompOutBullying.org. Be supportive of your child. Parents may be tempted to tell their kids to toughen up, that names never hurt anybody, yet – cyber attacks can harm a child easily and have a long lasting effect. Millions of cyber accomplices can help target or humiliate your child. That emotional pain is very serious and very real. Do not ignore it. Alert the school and guidance counselor to watch out for in-school bullying and see how your child is handling things. It is important that you give your child love, support, nurturing and security. Children have committed suicide after having been cyberbullied. Take it seriously. *Girls were about twice as likely as boys to be victims and perpetrators of cyberbullying. *62% said that they had been cyberbullied by another student at school, and 46% had been cyberbullied by a friend. 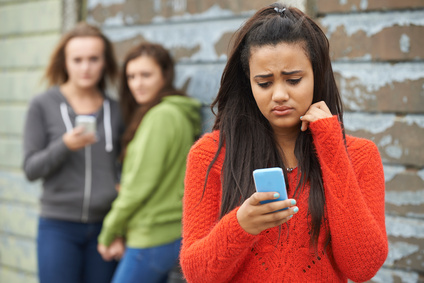 Whether you call it “drama,” “beef,” or “throwing shade,” online conflict via social media is impacting the way young people communicate and relate to one another. Tension in and out of the classroom is being fueled by Facebook fallouts and Yik Yak attacks. Empowered Flower Girl (EFG) advises youth and parents alike to monitor online interactions and behavior. Results from a recent Wayne State University study found that 54 percent of youth were involved in online abuse. This summer, Empowered Flower Girl is encouraging kindness and working to thwart meanness with its “No Shade. Just Smiles.” campaign. When there is a threat of violence or if a crime has been committed, call 9-1-1. Seeking solutions to cyberbullying, drama, relational aggression or other social/communication challenges among teens in your school or community? Empowered Flower Girl offers engaging workshops, programs and content that tackle these issues. For more information, visit http://www.empoweredflowergirl.com. Join the conversation with #NoShadeJustSmiles. “We want teens to break the internet with positivity,” Kamaria said. I often wonder do teens truly understand the impact of their social interactions. In particular, how their online activities and interactions affect their chances of getting into college, hired for internships and scholarships. With today’s competitive job market, teens should be conscious of their digital footprint. We’re not trying to thwart freedom of expression and opinion, but we encourage young people to think before they tweet. Some corporations and even college admissions staff are turning to social networking to evaluate and recruit employees and students. From posting expletive-filled rants and inappropriate photos to retweeting explicit lyrics from popular songs, we’ve seen it all. As parents, aunts, uncles, mentors and educators we must have conversations with our school-aged relatives and students about how they’re using social media. We encourage youth to use social media for good and as a learning tool. But we also have an obligation to help them become responsible, conscious social citizens. Participants in the Youth on the Edge of Greatness (YOE) summer program on Detroit’s eastside experienced Empowered Flower Girl’s upgraded Chica Chat workshop “Inspiring Sisterhood.” Approximately 24 girls participated in the Chica Chat, which was offer in conjuntion with YOE’s Girl Talk session. The group of 8-14 year olds explored friendships, frenemies, cyberbullying and stereotyping while learning problem-solving techniques and new ways to relate and communicate with others. The Chica Chat: Inspiring Sisterhood workshop will be offered again on Aug. 16, 2014 as part of the I Feel Good: Mind, Body and Soul women’s conference at Wayne State University. For more information, visit the event website. OMG! – It’s the reaction many parents have after discovering their child’s social media profiles for the first time. No matter if they’re honors students or academically challenged, many teens are tempted to engage in risky or inappropriate online communication that may be harmful to their virtual and real-life reputation. 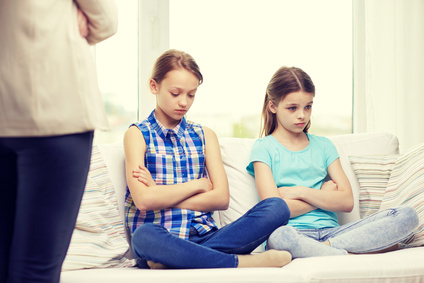 Parents should be aware of their children’s social interactions and take action when necessary. Because many children and adults alike are unknowingly putting themselves at risk as targets of online predators. Others may be hindering their chances for jobs, internships and even college admissions. According to a 2013 nationwide survey conducted online by Harris Interactive on behalf of CareerBuilder, more than 43 percent of hiring managers who research candidates via social media said they found information that caused them not to hire a candidate. The same is true for several U.S. colleges and universities. A Kaplan-commissioned survey last year found that 31 percent of college admissions officers had visited an applicant’s personal social media page to learn more about them. Significantly, for those trying to get into college, 30 percent of admissions officers revealed they discovered information online that negatively affected an applicant’s prospects. • Have a conversation with your child about his/her social media interactions. You’d be surprised what they may share. • Model appropriate online etiquette. Be careful what you post and share online as many children mimic their parent’s behavior. • Set boundaries and inform your child of potential dangers online. The FBI offers valuable tips relating to cyber safety on its website. • Unplug. Schedule dedicated family time minus media of any kind. This summer, Empowered Flower Girl will launch a series of proactive parenting workshops. “Social Secrets: What Parents Should Know. What Teens Don’t Want Them To” is the first of the interactive workshops that will be offered. For more information, call 248-629-0334 or email info@empoweredflowergirl.com. DETROIT – In an effort to combat cyberbullying, drama and “mean girl” behavior and inspire positive relationships among middle and high school students, Empowered Flower Girl will host its signature Chica Chat workshop – in partnership with Detroit Parent Network. The two-hour workshop, scheduled from 5 to 7 p.m. on Thursday, June 13, 2013, is open to girls 10-16 years old throughout the metro Detroit area. Earlier this year, Empowered Flower Girl received a grant from Detroit SOUP, a micro-funding organization, to offer the workshop to three Detroit schools and a nonprofit organization free of charge. In order to participate, youth must have their parent’s or guardian’s permission. Register through June 6 at chicachat.eventbrite.com. For more information about Empowered Flower Girl, visit empoweredflowergirl.com. Rasheda Kamaria is the chief empowering officer and founder of Empowered Flower Girl LLC, a social enterprise that produces workshops and clothing that inspire girls and young women to live powerfully. A survivor of bullying, Kamaria was featured in the article “Being Bullied Changed My Life” in the May 2011 issue of Cosmopolitan magazine and has written numerous articles on the subject. When: Thursday, June 13, 2013; 5 to 7 p.m.